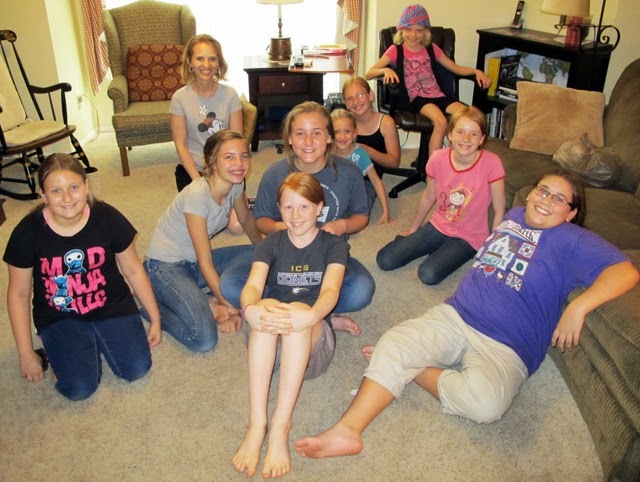 Every Friday afternoon this past school year, between the hours of three and six, a group of about twelve kids would come to our home to eat, play, and learn about who God is and how to know Him personally. Each week, we focused on a different attribute of God and learned how having an accurate view of Him is crucial to every decision they make. We talked about the idea of seeing life through “God glasses”, which will help us to face life’s challenges with perspective and will help us to make good decisions. It was wonderful to hear how many of you prayed specifically for this ministry and I sensed God working through your prayers as I taught the lessons. Both age groups grew in number this year, including some new kids not connected with a church. This was great to see! Some unique relationships were formed with their parents which brought further opportunities that I might not have had otherwise. Two of these kids continue to enjoy coming to church with us on Sundays, and we are still praying that their parents join with us in the future. The year ended on a very high note as another middle school girl made a decision to invite Christ into her life! Seeing these eternal decisions truly makes it all worthwhile. The icing on the cake is how this gives Lindsey and Rachel a model of what it looks like to share Jesus with others while training them to know God better too. Thank you for all you are doing to partner with us. Your prayers and faithful support enable us to continue doing what God has called us to do!